Bhutan’s voters have given the Druk Nyamrup Tshogpa (DNT) a strong mandate in the country’s recently concluded general election. A relatively new party, the DNT won 30 of the 47 seats in Bhutan’s National Assembly (NA) and will form the new government. Its victory is noteworthy; the party is forming the government on its debut in Parliament. The new government faces several daunting tasks ahead. Inequality is rising as is unemployment; 10.6 percent of Bhutanese youth are unemployed. Foreign debt, which was 108.6 percent of its Gross Domestic Product (GDP) as of 2017, is growing, much of it being owed to India. Britain would collapse if it tried to pay back the money it drained from India, eminent economist Utsa Patnaik said at a conference at Jawaharlal Nehru University, New Delhi on Wednesday. Delivering the inaugural lecture at the three-day Sam Moyo Memorial Conference on “Land and Labour Questions in the Global South”, Utsa Patnaik said that the estimated drain from India to Britain over the period from 1765 to 1938 was a whopping 9.184 trillion pounds, several times the size of the UK’s GDP today. Patnaik, who is Professor Emerita at the Centre for Economic Studies and Planning (CESP), JNU, said that the policies followed by Britain during its colonial rule in India were so disastrous that per capita food grains availability in India declined drastically from 197.3 kg per year in 1909-14 to 136.8 kg per year in 1946. Recent events in Afghanistan have reenergized those in favor of a U.S. military withdrawal. “Let someone else take up the burden,” urged one opinion piece in Slate. Another in the UK-based Guardian newspaper bluntly noted: “It’s time for America to end its war in Afghanistan.” Some media reports have also suggested that U.S. negotiators in Doha, Qatarhave agreed to discuss the withdrawal of U.S. troops from Afghanistan as part of a negotiated settlement with the Taliban. Yet without a political settlement, which is still a longshot, a U.S. military withdrawal from Afghanistan would have serious risks. Chief among them would be the resurgence of terrorism and the deterioration of human rights—including women’s rights—that come with a Taliban victory. ISLAMABAD -- The uncertainty of an election in Pakistan tends to give the markets a prolonged case of the jitters. As the country prepared to vote in 2013, the rupee fell sharply, leading Pakistan to turn to the People's Bank of China for help. After China transferred almost $600 million into the depleted coffers of the Pakistani central bank, the sell-off abated. Fast forward five years to the eve of the national elections this summer, which ushered former cricket star Imran Khan into office. China stepped in once again, extending its currency swap agreement with Pakistan and raising its line of credit, and another pre-election sell-off of the rupee was halted. "The swap was our secret weapon" in 2013, recalls the then-head of the State Bank of Pakistan, Yaseen Anwar. "I brought in so much money to shore up the defense of the rupee." What does an insecure authoritarian regime do when it believes it is being undermined from within and encircled from without by its most potent foe, and threatened with extinction? For the Chinese Communist Party (CCP) in the early 1990s, convinced that the planet’s sole superpower was out to get it, the reflex was to turn for guidance to the Warring States period of Chinese history. The Warring States period (fifth century to 221 BC) saw China’s first great flourishing of written culture and ideas, along with rapid technological progress and burgeoning material wealth, all amid a frenzy of interstate competition and conquest. It was when the foundations of the modern Chinese state were laid: China’s first centralized, authoritarian, densely populated land empire was forged on the scorched ruins of the warring states. And it was the period when the region’s deep strategic template for geopolitical competition was laid down, a template which persists to the present day. 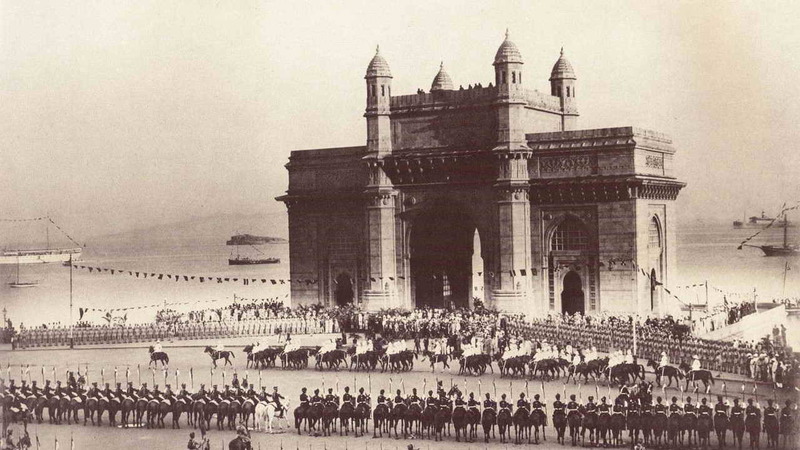 In the 19th century Central Asia was the region called “Great Game,” the contest between British Empire who settled their footprints in India and the Imperial Russia. The game of dominance continued for many years due to abundant of natural resources in the form of oil, gas and hydrocarbons, which shifted the “Great Game” into the “New Great Game”. Later, the collapse of Soviet Union in 1991 led to creation of many independently states, most important five central Asian states namely Kazakhstan, Kyrgyzstan, Uzbekistan, Tajikistan and Turkmenistan. China’s Belt and Road Initiative is feared to be a cobweb for debt trapped small and weaker nations. It woos small and weaker nations with loans in the name of infrastructure development and when their debt are not paid, it captures their land and resources. It violates the global norms for development loan, while leaving little room for debt relief. So far, eight countries have fallen prey to debt trap. They are Djibouti, Tajikistan, Kyrgyzstan, Lao, Maldives, Mongolia, Pakistan and Montenegro, according to a study by Centre for Global Development. Is China Losing the Opportunity to Lead? The Chinese Communist Party should rejoice: it potential rivals are struggling. 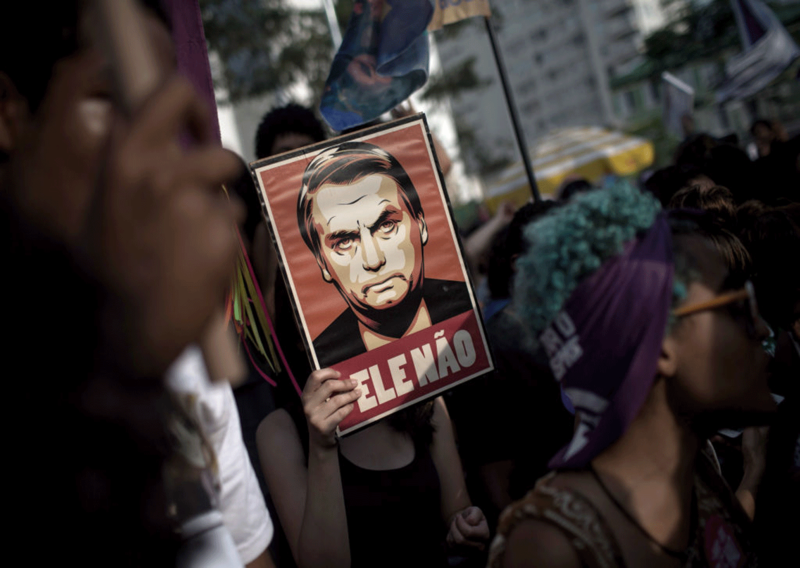 In the United States, President Donald Trump and the Republican Party devote their energies to trashing international institutions which anchor America’s hegemony. They look down on science. They seek to make America white, male, and Christian again to end its role as a universal nation. In Europe, Brexit, the fall of Rome to xenophobic populists, the entry of radicals with Nazi roots into the Austrian cabinet, the weakening of the German chancellor, and other ailments cripple the EU and NATO. Washington’s rejection of the Trans-Pacific Partnership (TPP), pressure for a protectionist bilateral trade deal, assaults on KORUS and NAFTA, and Trump’s soft spot for Chairman Kim are stabs in the back that enfeeble Japanese power. In the last 40 years, China has racked up a long list of remarkable accomplishments. Between 1978 and 2013, the Chinese economy grew by an average rate of 10 percent a year, producing a tenfold increase in average adult income. All that growth helped some 800 million people lift themselves out of poverty; along the way, China also reduced its infant mortality rate by 85 percent and raised life expectancy by 11 years. The miraculous quality of China’s achievements makes what is happening in the country today especially tragic—and alarming. Under the guise of fighting corruption, President Xi Jinping is methodically dismantling virtually every one of the reforms that made China’s spectacular growth possible over the last four decades. In the place of a flawed but highly successful system, he is erecting a colossal cult of personality focused on him alone, concentrating more power in his hands than has any Chinese leader since Mao Zedong. Beijing will play the long game on the renminbi Xi Jinping has underestimated Trump and aggressive change in US attitudes towards China DIANA CHOYLEVA Add to myFT Share on Twitter (opens new window) Share on Facebook (opens new window) Share on LinkedIn (opens new window) Save Save to myFT Diana Choyleva 14 HOURS AGO Print this page12 An ugly start to the week for Chinese stocks will leave plenty of investors wondering how Beijing might respond both to the market’s woes and a slowing economy. But concern that China might resort to a big one-off devaluation of the renminbi to boost growth should be dismissed. Such a provocative move would give US President Donald Trump an excuse to redouble his efforts to contain China’s economic rise. His opposite number, Xi Jinping, will not take the bait. Mr Trump must have been tempted to order the US Treasury to recast its criteria so it could have named China a currency manipulator, after it let the renminbi depreciate roughly 10 per cent against the dollar over the past six months as the US imposed tariffs on Chinese imports. Scientists from China’s military are significantly expanding research collaboration with scholars from the U.S. and other technologically advanced countries, at times obscuring their affiliation from their hosts, according to a new research report and interviews with academics. The People’s Liberation Army has sponsored more than 2,500 military scientists and engineers to study abroad over the past decade, according to research by the Australian Strategic Policy Institute. ASPI is a nonpartisan think tank that was created in 2001 by the Australian government, which is engaged in a sharp debate about Chinese Communist Party interference in its domestic affairs. 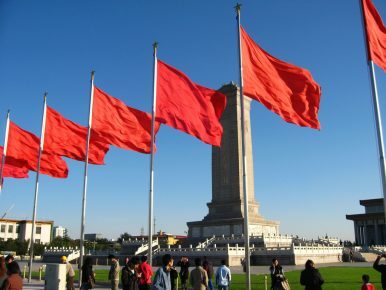 The volume of peer-reviewed articles produced by PLA scientists working with academics outside China grew nearly eight times during the same period, from 95 in 2007 to 734 last year, the report says. The idea that China’s economic surge was due to conditions unique to the country has long been a core concept of Chinese ideology and policy. But in a speech published last week on Peking University’s website, prominent Chinese economist Zhang Weiying argued that China’s growth was not the result of a special “Chinese model” of development. In fact, he asserted that there is no such thing as a Chinese model and that the concept itself widens the divide between China and the West and generates hostility toward Beijing. China’s commander-in-chief has ordered the military command overseeing the contested South China Sea to “concentrate preparations for fighting a war,” according to the South China Morning Post. Chinese President Xi Jinping inspected the Southern Theater Command Thursday, again stressing the need build a force that can “fight and win wars” in the modern age. BERLIN — How the mighty have fallen. Angela Merkel, the eternal chancellor of Germany, the uncrowned queen of Europe, took refuge Monday from her party’s catastrophic showing in state elections in Hesse in a tactical retreat. Merkel’s calculus in assuming responsibility for her party’s dismal result — announcing that she would not seek reelection as chairwoman of the CDU, nor run again for the chancellorship — seems obvious: Pull back and dig in until the end of her fourth term. But whether she clings on to the chancellorship until the end of her term in 2021 or is taken down by party rivals before then, the Merkel era is over. Her Christian Democratic Party (CDU) lost 11 percentage points in Hesse, a cosmic drop by German standards, coming in at 27 percent. The party’s fate in the national opinion polls sharpens the disaster: The most recent survey gives the CDU and its Bavarian sister party CSU 25 percent nationwide. It is a precipitous decline. The union, as the tandem is known, used to score in the mid to high forties, once even above 50 percent. Discover how the Global Financial Crisis began, why it continued and spread, and where we are now, when you subscribe to World Politics Review (WPR). World leaders at the G-20 Summit, Hangzhou, China, Sept. 4, 2016 (AP photo by Ng Han Guan). In 2008, it was short-term lending between banks—in many ways the lifeblood of the global financial system—which seized on fears that foolish investments in valueless mortgage-backed securities might cause a loan partner to collapse. The U.S. Treasury recognized that in order to get credit flowing again, that bad debt had to be cut out of the system. Enter the Troubled Asset Relief Program (TARP), which essentially took a massive chunk of private debt and made it public. This crisis caused lending to become tight and more restricted. In 2008, the epicenter was in a single country, the U.S, but its impact spread rapidly. Without needing to accommodate a human on board, drones are bound only by the laws of aerodynamics. That means shapes familiar and strange, from palm-sized rafts that resemble miniature helicopters to tube-launched boxes with wings that transition into fixed-wing vehicles in flight. One exciting frontier for drone body shape is biomimicry, masking the outward appearance of the robot by giving it a form that resembles an animal. 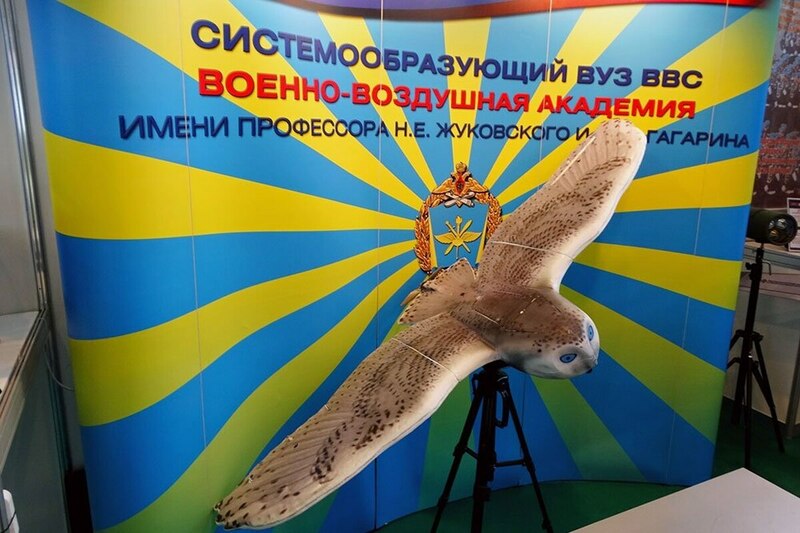 Consider, if you will, a Russian drone, built to resemble an owl. Turning in the Eastern direction did not work out as Russia was absolutely not ready for it, according to Dmitry Evstafiev, professor of the Faculty of Communications, Media and Design at the Higher School of Economics. “Many experts are saying that turning East did not work out or not as expected or not in the right direction. I think it is true. Russia can’t bite more than it could chew both in terms of economic development and in terms of redirecting its logistics towards the East,” Dmitry Evstafiev commented. He added that Russia was completely unprepared for changing the direction. “We had to face such world economy giants as China, Japan and ASEAN. We have no chances against them,” the expert noted. Evstafiev stressed that before turning East, Russia should have developed major system-wide projects that could be in demand. The audit will bring tough conversations and business opportunities for innovators, Norquist said. It is shocking, not because those working on the science are surprised by the messages (indeed they are all based on existing and published science), but because in aggregate the message is extraordinary and alarming. The diversity and severity of impacts from climate change read like a narrative we might see in a Hollywood movie, but are in fact, and disconcertingly, the clear-eyed projections of where we are heading in reality, barring massive economic mobilization and rapid transition to cleaner technologies. Does the G/FO position meet the structure and organization criteria for a G/FO requirement? Does the G/FO position meet the position-by-position criteria for a G/FO requirement? Was the G/FO position identified during the forced-choice exercise as a priority three- or four-star requirement (relative to other positions)? Would elimination of this G/FO position potentially worsen the health of the position pyramid? How does integration of the results of these four approaches present opportunities to eliminate, downgrade, or convert (to civilian) G/FO positions? On Sept. 13, Massachusetts’ Merrimack Valley was rocked by a series of gas line explosions leaving one person dead and many injured. In the towns of Lawrence and Andover, houses were destroyed and thousands of people left without gas heading into the New England winter. 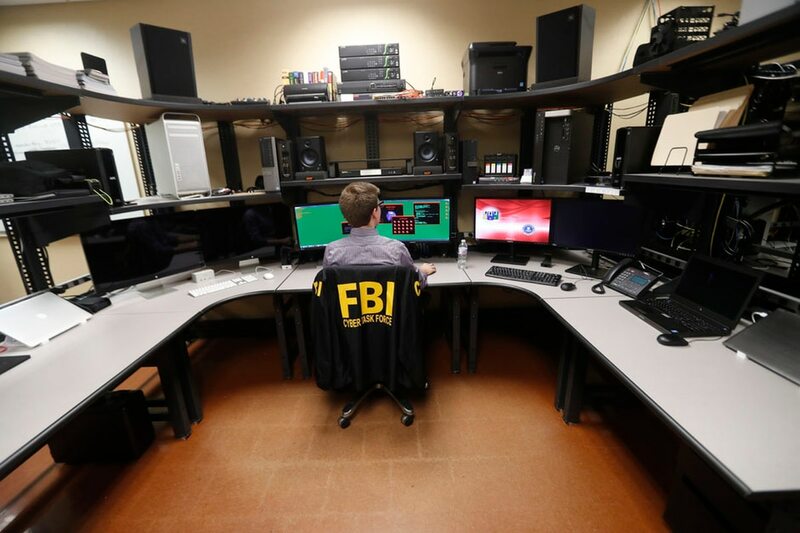 As clean-up began from the tragedy, there was chatter in local cybersecurity circles that the devastation could have been the result of a cyberattack. Congress thinks there are too many generals and flag officers holding positions in the Defense Department. It’s something the 2017 defense authorization act directly addressed by telling DoD to reduce the number of general and flag officer billets by 110 by 2022. Now, a new RAND study commissioned by the Pentagon finds there are just about that many general and flag officers that are unneeded. The study revealed that after looking at the requirements for general and flag officer positions, about 132 of the 615 positions didn’t meet the need for such a high ranking official. The Pentagon is taking new steps to build cyber talent in the U.S. military, but experts suggest the armed forces have structural problems that prevent them from becoming a digitally cohesive unit. Current and former U.S. military officials also tell Fifth Domain that recruiting enough cyber forces is a struggle for the Pentagon. 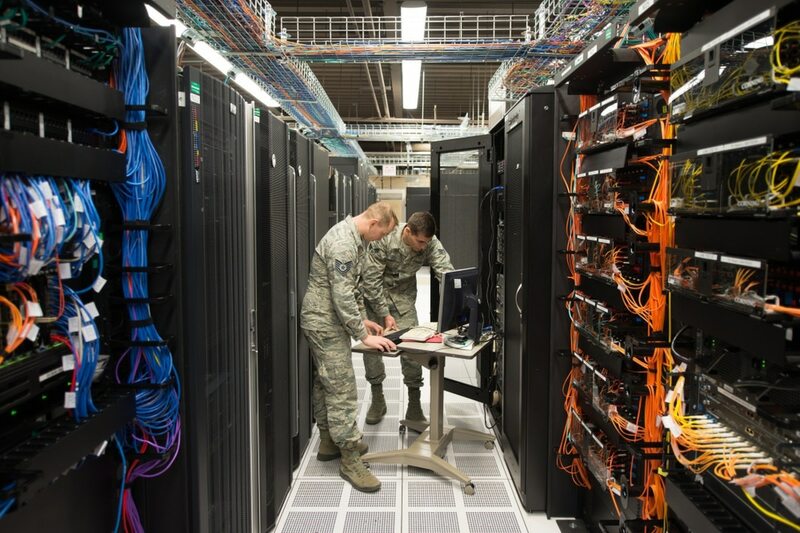 The U.S. Air Force’s cyber warfare operations is only 46 percent filled, according to a 2016 Air Force Research Institute report, the most recent year available. The Pentagon is hoping to hire 8,300 cyber positions starting this year, Brig. Gen. Dennis Crall told lawmakers Sept. 26. How can security cooperation (SC) planning and evaluation processes be improved to link strategic and tactical goals for SC activities? Security cooperation (SC) events should forge strong relationships with U.S. partners, help develop partners' military capabilities and ability to operate with U.S. forces, and facilitate access to foreign countries in the event of a contingency. This report examines U.S. Army SC processes in the Pacific Command area of responsibility to forge stronger links between strategic and tactical levels in the planning and execution of SC activities. Researchers developed a framework to link tactical- and operational-level SC activities with strategic goals and found ways to identify information requirements for units executing SC activities and improve evaluations. Researchers found that planning for SC events could be improved by providing additional clarity in the orders process and strengthened knowledge management to aid tactical planners. SC evaluations at the strategic level could be improved through better specifications of the linkages between SC events and expected outcomes and at the tactical level through process improvements in the conduct and dissemination of after-action reports. What is meant by counterterrorism policy in the Netherlands and other countries? And what different types of counterterrorism and preventing and countering violent extremism measures, policies and interventions can be distinguished in the Netherlands and abroad? What evaluations of counterterrorism and preventing and countering violent extremism policies have been conducted over the last five years in the Netherlands and abroad? What can be said about counterterrorism and preventing and countering violent extremism evaluations characteristics? What are the differences and similarities between the identified evaluations of counterterrorism and preventing and countering violent extremism policies? What does the evaluation literature say about quality criteria for evaluations? To what extent do the identified counterterrorism and preventing and countering violent extremism evaluations meet these quality criteria? 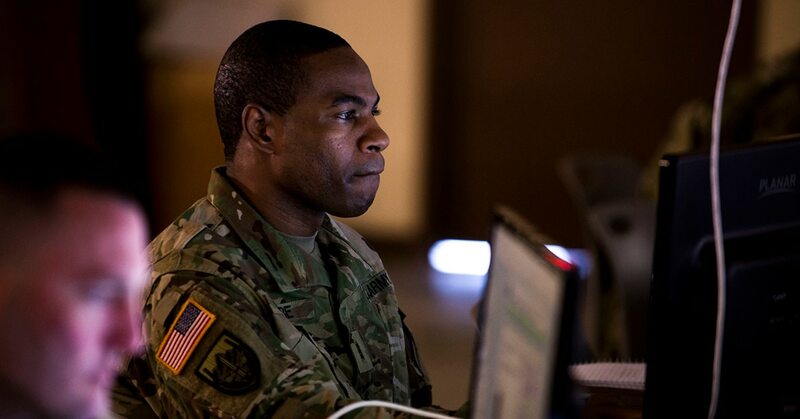 There are many risks to the U.S. Army’s command and control (C2) operations and to its intelligence and information warfare (IW) capabilities. The challenges include: significant uncertainty; sudden unexpected events; high noise and clutter levels in intelligence pictures; basic and complex deceptions exercised through a variety of channels; the actions of hidden malign actors; and novel forms of attack on U.S. and allied command, control, communications, computers, information/intelligence, surveillance, targeting acquisition, and reconnaissance (C4ISTAR) systems. If the U.S. Army is to secure and maintain information dominance in all environments, it must exploit complexity and uncertainty in the battlespace and not simply seek to overcome it. Innovation requires that new ideas are considered, and that old ideas should be robustly challenged. To achieve and maintain information dominance, the U.S. Army will also require a significant injection of innovation, a robust and resilient C2 and intelligence capability, novel technologies and an accelerated information operations capability development program that is broad, deep, sustained and well-coordinated. Furthermore, once information dominance is achieved, maintaining it will demand continuous change and development. I was in Naples, Italy, recently and spent time with the Commander of NATO’s Joint Force Command, Admiral Jamie Foggo. A tall, forceful nuclear submarine commander, he is currently deployed to Norway, leading the largest military exercises in the Alliance’s post-Cold War history. Over 50,000 troops, hundreds of aircraft and dozens of warships under his command are spread out around northern Europe as part of Exercise Trident Juncture. In addition to the 29 NATO countries, both Sweden and Finland will have significant roles. And, another non-NATO nation has a role too: while the adversary in the exercise is “fictional,” it is clearly modeled on Russia. The exercises run for two weeks, ending on Nov. 7, and are centered on defending NATO territory from a predatory invasion. Of note, there will be a U.S. Carrier Strike Group centered on the nuclear carrier U.S.S. Harry S. Truman operating in the harsh late-fall waters of the Greenland-Iceland-United Kingdom “gap,” the body of water that NATO would have to control to cut off Russian naval forces in the event of a war. It all has a very “Tom Clancyis back” feel to it. by Dr. Shima D. Keene. The U.S. Army increasingly faces adversaries that are difficult to define. The threat landscape is further complicated by the silent partnership between criminal organizations, irregular groups, and nation-states. This collaboration, whatever its exact nature, is problematic, because it confounds understanding of the adversary, making existing countermeasures less effective, and thus directly challenging U.S. national security interests. Military action taken without full appreciation of the dynamics of the nature of these relationships is likely to be ineffective at best or suffer unintended consequences. This monograph provides a comprehensive assessment of the threat to U.S. national security interests posed by the silent partners, as well as how the vulnerabilities of the relationships could be exploited to the advantage of the U.S. Army.